"I love it" I heard myself saying to the frowning seat neighbour. "It's something I grew up with -- the Van Cliburn", her facies slowly morphing into a look now more like that if I'd said my mother was a Russian princess, or I'd given an obscene inheritance to aboriginal health and joined a monastery. We had just heard 'Chinese Superstar' Yuja Wang play the Brahm's Second. She is quite a character, oozing charm in a Lena Horne silver spangly fishtail dress, with a jet black bob of hair, and a no nonsense dazzling technique. That she played this "most adult" of piano concertos, "the biggest from the pianistic and musical standpoint" so masterfully caught me by surprise, but it shouldn't. She's late 20s. 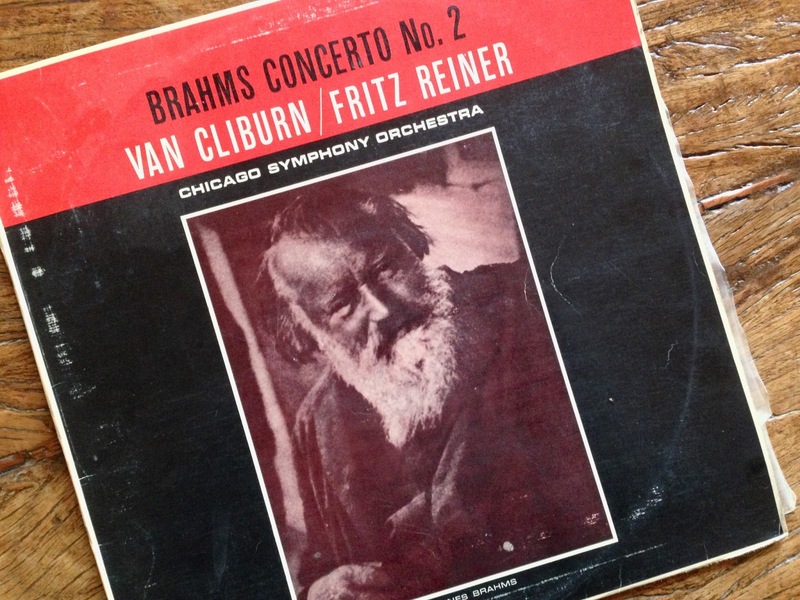 And Cliburn won Moscow at 24, and recorded the Brahms at 28. Ah yes, I smiled, rifling through the records as soon as we'd arrived in the bush in the black of night and the fire was alight. Of course we played it, just us together now, and quite fine the pressing is still. 'This album is also available in stereo' it says proudly on the back cover, next to RCA 1962. John Rosenfield, from The Dallas Morning Herald, writes that Brahms was clean-shaven when he started the concerto and 3 years later, now 45, had matured in look and output with a concerto with 'the seething rather than eruptive passions of middle years' and a 'grandeur at times spiritual', in a sense a 'full-blown Brahms symphony with piano obbligato', as Hanslick had written. While I could muse that maybe the neighbour's frown was that some of the grandeur, orchestral grandeur, and balance was still in the rehearsal room, or maybe whatever else it was, and I felt it was that she simply didn't care for the work (and that I wasn't really in the mood to discuss) it was wonderful to hear it again and have memories stirred. But rest assured that the piano and the cello, Umberto Clerici, were talking in some of its most touching moments, among many, the especially beautiful Adante, the piano like the Woodbird, peace reincarnate, showing the way. What I didn't know was much about Van Cliburn. 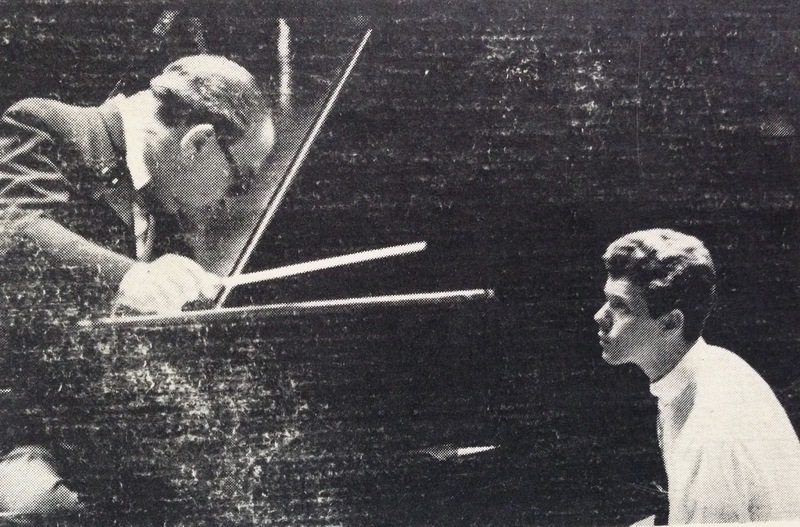 Taught by his piano teacher mother, his winning of the International Tchaikovsky Competition in 1958, an award endorsed by Richter and ratified by Krushchev, at the height of the cold war and the start of the space race, made Harvey Lavan Cliburn Jr an American of ticker tape parade celebrity. Criticised for a contained career, one wonders how much his homosexuality restricted his trajectory. Despite enduring relationships with men, and particularly Thomas J Smith, his sole survivor, he lived with his mother till her death, and American showmanship had big closets, even now let alone then. That he played for Reagan in 1987, at the height of the AIDS crisis, in which he would be embroiled, is forgiven - Mikhail Gorbachov was present. Louisiana born and Texas raised, he went to Church and kept going to Church, more's the story, and Van Cliburn's church was the Fort Worth's Broadway Baptist Church which now contains the huge organ he donated in memory of his mother. When in 2008 the Broadway Baptist Church faced the controversy of including photos of gay and lesbian couples in its church directory, and welcoming them into full membership, for which it would be expelled from the Southern Baptist Convention, Cliburn was frequently mentioned as a gay member of the congregation. The final word in this unravelling story of a man "whose talent deeply touched many" resonates well with me. On the other side of the world, a school boy in a suburban house with a radiogram, awakening to his own complexities, and containment, was and remains deeply touched. Wonderful reminiscence, and the album cover alone is beyond price. Yuja Wang does have the goods, doesn't she?